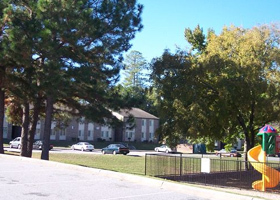 Columbus Villas Apartments is a property of The Housing Authority of Columbus, Georgia which has affordable housing for single individuals and families. All apartments are income based. There is no application fee and the security deposit is based on your rent. 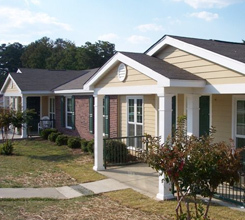 Columbus Villas has a total of 88 units with one, two and three bedroom floor plans. Amenities include central heat and air, wall-to-wall carpet, range, refrigerator and dishwasher, 24 hour emergency maintenance, water, pest control and trash collection is provided. Residents are responsible for their own power. Each unit has a large walk in closet in the master bedroom. There is also an on-site laundry room and playground just for our residents. Our community is fenced and features a well lit and secure campus. Columbus Villas is adjacent to Kendrick High School, Georgetown Elementary and East Columbus Magnet Schools. Columbus Villas is convenient to shopping, dining and banks. Close to the new Super Wal-Mart on Buena Vista Rd. and located near I-85 just a few minutes away from the mall. Columbus Villas is not just apartments; it's a family community!